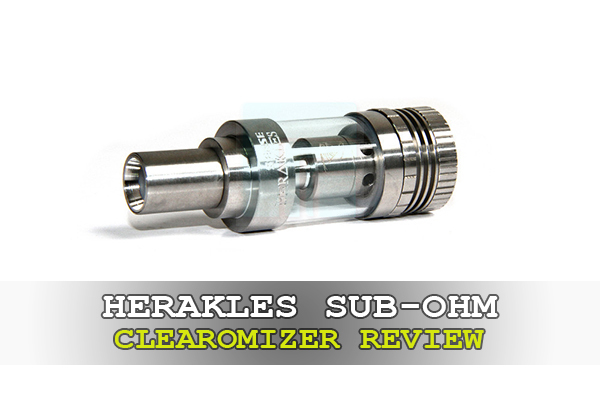 With so many sub-ohm tanks on the market, can the Cleito by Aspire stand out above the others? 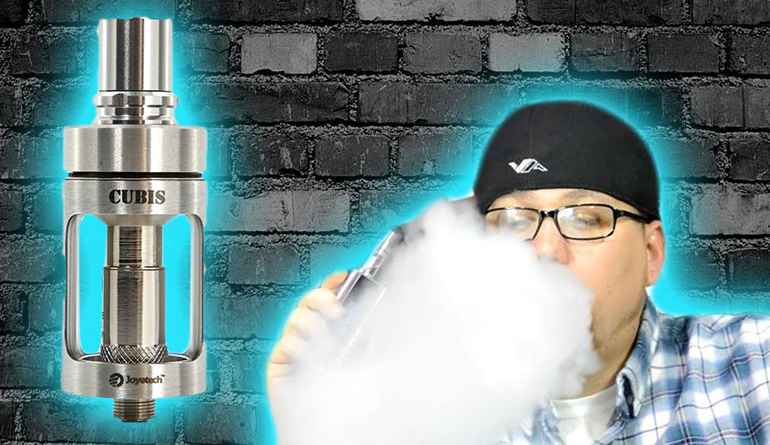 Find out in this Aspire Cleito Sub-Ohm Tank Review. And, as always you can enjoy this review in both written and video format for your convenience. 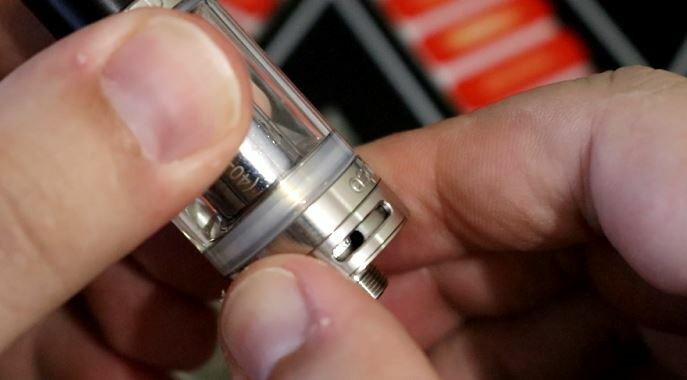 The Aspire Cleito Sub-Ohm Tank doesn’t offer any super spectacular appearance enhancements, and in fact, there isn’t much to look at, other than its small stature and shiny shell. There is no large base to this with crazy lines and etching, and even the top cap is very minimal. However, what the Cleito does have going for it is its simplistic and sleek look that it gives off. It’s like one of those products where a little goes a long way. 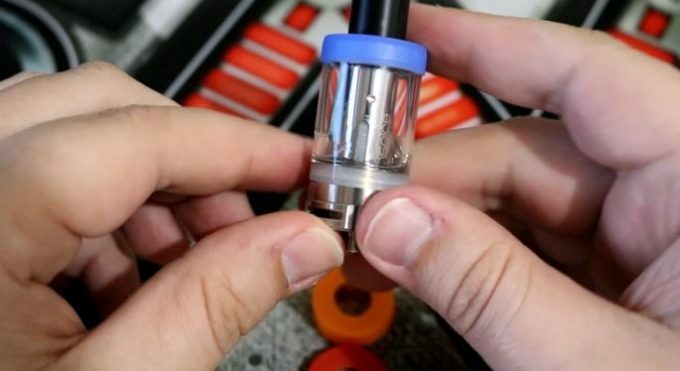 Starting from the top, you’ll see a delrin drip tip (or referred to as a drip cap), resting below is a thin top cap, you then have your glass tank, and just below is the bottom base that features three air slots. 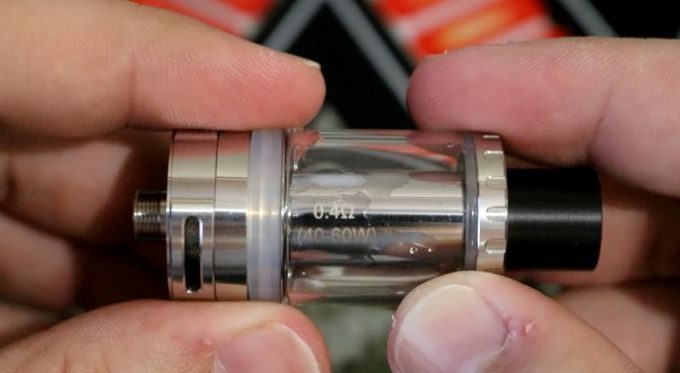 When viewing the tank, it’s hard not to notice the inside of the tank, as there is a long shafted and very shiny coil that stretches from the top to the bottom. To offer some type of eye candy for this simple looking tank, 4 rubber cuffs in different colors were included. Judging by looks alone will not do this tank its justice. Just like with the Cleito’s appearance though, there’s not a whole lot going on in the features category. However, it’s these two categories that will lead you to the Cleito’s promise land, which is the performance. Now, just because I say there’s not a whole lot going on doesn’t mean this tank is featureless. 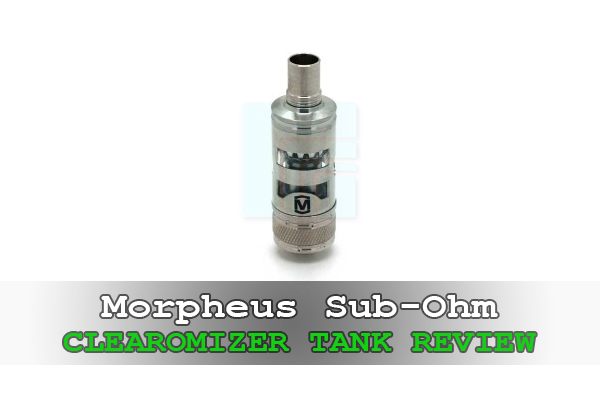 In fact, it has one feature alone that’s a game changer for the world of sub-ohm tanks, and that is the revolutionary full length coil design, meaning the replacement coil will stretch the full length of the tank, eliminating and replacing the once static chimney we all know in tanks, period. Besides the drip tip to coil design, the Aspire Cleito Tank is constructed of 304 stainless steel and uses a glass tank that holds 3.5mL’s of e-liquid. 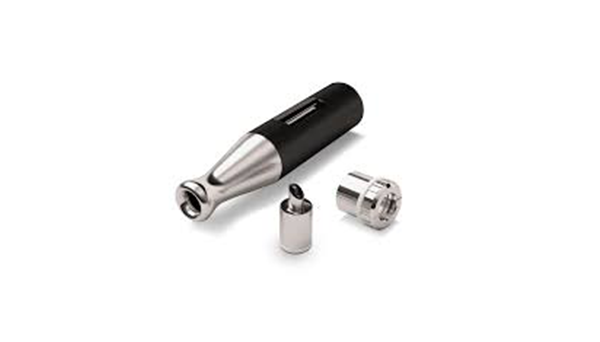 Other features include a top fill system, triple adjustable bottom airflow control, a gold-plated contact, and a food grade delrin drip tip (I wish it allowed for a regular 510 drip tip). The performance is why I enjoyed this tank as much as I have. It has outstanding airflow that will allow you to produce some large-sized clouds, but its Clapton coil structures is why the magic happens. 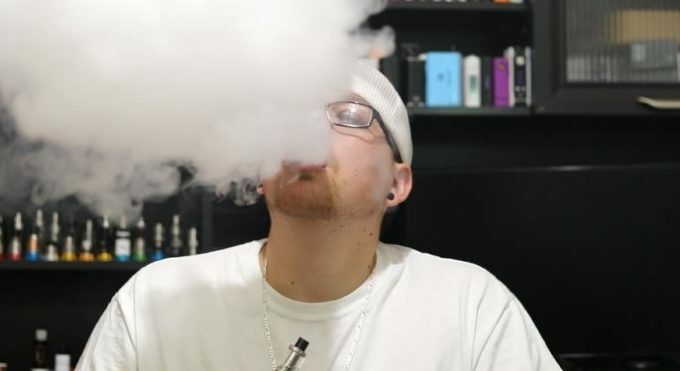 The Cleito Tank comes with 2 coil head’s: one 0.2Ω Clapton coil that utilizes organic cotton (55W – 70W), and one 0.4Ω Clapton coil that utilizes organic cotton (40W – 60W). After using this tank, I can officially say that it has made its way into my daily vape line-up. It has great airflow, produces great clouds, and the coils wick consistently, which is what I enjoy most. This one comes highly recommended! A couple of things. 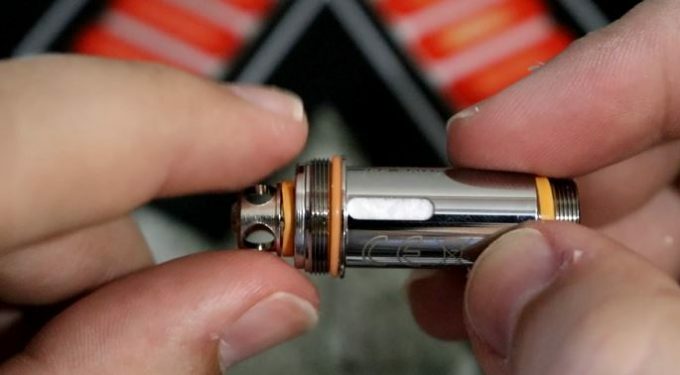 First the Delrin tip will pull right out allowing you to use your favorite 510 tip and the cuffs are included for the purpose of isolating your lips from the cap which will heat up to the point of concern. Yes, I figured a 510 would fit there, but unfortunately it would look disgusting. What really set this tank off for me was getting the “kegger” shaped 5 million glass. Some find it ugly. It’s grown on me to the point I wouldn’t change it for a.standard cylinder glass. Digging the heck outta this baby! For the price it’s well worth it imho.